Sit back and fish or help sail the boat. No experience is necessary and all skill levels are welcome to join. Test your offshore abilities with a lead boat and captain sailing ahead while you skipper/crew alongside sailors with similar levels of experience. This trip is easy to plan for because it’s all taken care of for you. 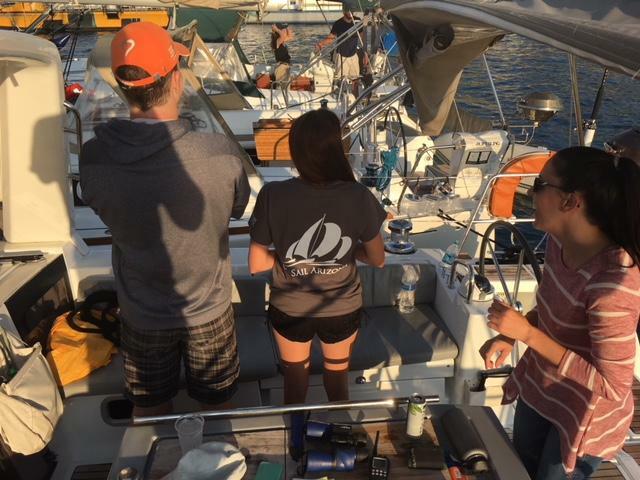 Bring a friend or come alone and meet new ones, your going to make many after a flotilla with Go Sail Arizona. 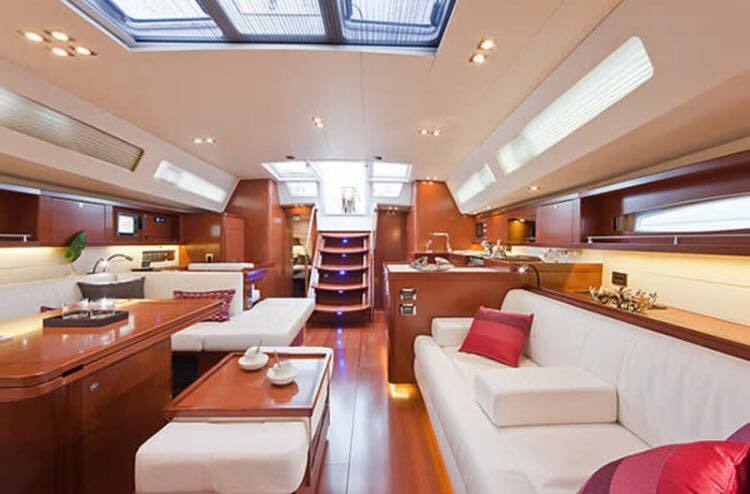 We will eat ashore in the mornings and in the evenings however, breakfast and dinner is included on board. Boats feature 2-3 bathrooms , 2-3 showers, 3-4 cabins, and a full galley/kitchen. Boats will raft up in Avalon in the evening after each day of activities ashore and of course, lots of sailing. No schedules. No course work. The itinerary for this trip is relaxation and FUN. *This is not a sailing course, nor must you be certified or experienced to join. Call us at 602-882-4398 for more details. Hello! My name is Clint Sutter, owner of Go Sail Az at Lake Pleasant in Arizona. I am also the Operations Manager and Lead Captain for the 65 foot Phoenix Cruise Boat. 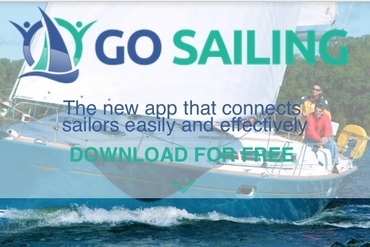 I am a USCG licensed captain and American Sailing Association sailing instructor. I am certified to teach Basic Keelboat 101, Basic Coastal Cruising 103, Bareboat Cruising 104, and Coastal Navigation 105. I am an identical twin and native to Arizona for 36 years. I have a 13 year old son named Ethan and a Border Collie named Hoji who I love so much. I've owned many boats over the years from small performance dinghies to catamarans and larger cruising sailboats. I have many years of experience skippering larger sailboats up to 50 feet along the Mexican and California coast. Ports to include: San Diego, Newport, Long Beach, Marina Del Rey. Boats I've sailed: Beneteau 40, 42, 46. Jeneau 40. Hanse 40. Hunter 32, 36, 46. Catalina 14, 18, 22, 25, 28, 30, 32, 36, 40. Prindle 16, 18. Hobie 16, 18. Nacra f18. Sabre 30. Bavaria 46. My goal is to share the sport of sailing with as many as I can in hopes that it makes them as happy as it has made me. I am currently a member of the ASA, US Sailing, The Arizona Yacht Club, The Lake Pleasant Sailing Club, and Marina Sailing.